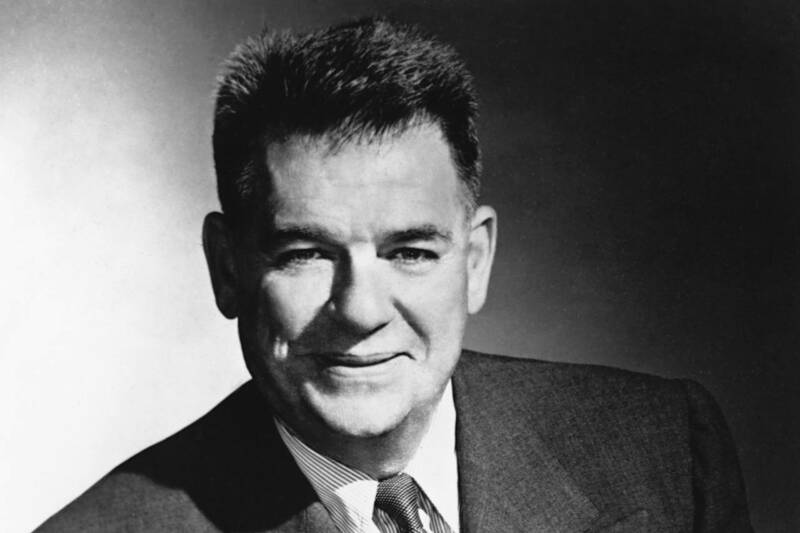 The Wisdom of Oscar Hammerstein A 60-year-old example of moral modesty and candor—qualities we could use more of today. Easter, Passover, spring break, holiday weekend. Let us unfurrow the brow and look at something elevated. It’s a small thing, a half-hour television interview from 60 years ago, but it struck me this week as a kind of master class in how to be a public figure and how to talk about what matters. In our polarized moment it functions as both template and example. In March 1958, the fierce young journalist Mike Wallace —already famous for opening an interview with the restaurateur Toots Shor by asking, “Toots, why do people call you a slob?”—decided to bore in on Oscar Hammerstein II. (For the record, Shor responded that Wallace had him confused with Jackie Gleason. ) Hammerstein was the fabled lyricist and librettist who with composer Richard Rodgers put jewels in the crown of American musical theater—“Oklahoma,” “South Pacific,” “The King and I,” and “Carousel,” whose latest Broadway revival is about to open. He was a hero of American culture and a famous success in a nation that worshiped success. Wallace was respectful but direct and probing. He asked Hammerstein if critics who’d called his work sentimental didn’t have a point. What, Wallace asked, was Hammerstein’s message in “South Pacific”? Hammerstein said neither he nor Rodgers had ever gone looking for vehicles by which to deliver messages. They were attracted to great stories and wanted to tell them on stage. But “when a writer writes anything about anything at all, he gives himself away.” He inevitably exposes his beliefs and hopes. The love stories in “South Pacific” were shaped by questions of race. The main characters learned that “all this prejudice that we have is something that fades away in the face of something that’s really important.” That thing is love. Does this reflect his views on interracial marriage? “The King and I,” he said, is about cultural differences. The Welsh governess and the Siamese children know nothing of each other at the start: “There again, all race and color had faded in their getting to know and love each other.” On the other hand, “Allegro,” about disillusionment and professional achievement, carries a warning: “After you’re successful, whether you be a doctor or a lawyer or a librettist, there is a conspiracy that goes on in which you join—a conspiracy of the world to render you less effective by bestowing honors on you and taking you away from the job of curing people, or of pleading cases, or writing libretti and . . . putting you on committees.” He added he was “a fine one to talk”: he couldn’t stop joining committees. What connection does this have with your work? “I think I would, yes,” Hammerstein replied, honestly and with no defensiveness. Wallace’s office had just spoken to “a militant dissenter” from liberalism, Ayn Rand, author of the recently published novel “Atlas Shrugged.” She said: “The public is being brainwashed by the so-called liberal or leftist philosophies, which have a stranglehold on the dissemination of ideas in America.” How did Hammerstein respond? Italics mine. Because liberals and conservatives do need each other, and the right course can sometimes be found in the tug between them. What’s to be done about it? Nothing, said Hammerstein: “Just be yourself, that’s all.” If the public likes Miss Rand, “there will be a Miss Rand trend.” Let the problem work its way out in a free country. We’re all guessing, and working on instinct and experience. Moral modesty and candor are good to see. In our public figures, especially our political ones, they are hard to find. I offer Hammerstein’s old words as an example—a prompter—of what they sound like. A radiant Easter, a beautiful Passover to my radiant and beautiful readers.